Fig. 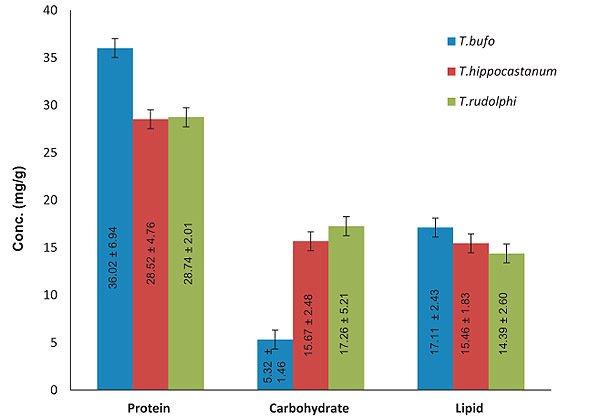 (2) Estimation of total proteins, carbohydrates and lipids in the tissues of T. bufo, T. hippocastanum and T. rudolphi. Data is expressed as mean ± standard deviation of the triplicate of triplicate experiments.